April 9, 2018 at 11:23p.m. For nearly 50 years, Carmen Nocera has been involved with the game of baseball as a player, assistant coach, manager or scout. The New Castle, Pa., native told the Curbstone Coaches during Monday’s meeting at Avion Banquet Center that to him, baseball is the one game that has incurred minimal change over the years and the sport which equates most to family and life. “In 1996, I attended a baseball convention in Nashville and the head coach at Cal State-Poly, John Scolinas, gave a speech whose words have stuck with me over the course of my professional and athletic careers,” Nocera said. “He told the group that home plate represented life and when you stay within that 17-inch boundary, the pitch is a strike and all in life is good. This spring, he is head baseball coach at East Palestine High School. 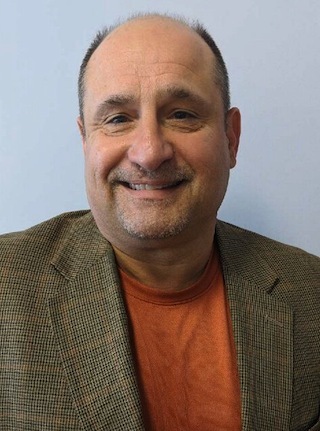 A 1979 New Castle High School graduate where he was an all-conference selection in football and baseball, Nocera played both sports at Geneva College. In football, he was an all-district selection and was named as one of the top 100 Golden Tornadoes players in the past 25 years. It was in baseball, though, where his star shone brightest. As a four-year starter, he was two-time all-district, an all-area pick, earned all-American laurels and broke 13 existing school records. He said discipline and accountability is the key in all sports, but more so in life. “When we stray from those boundaries, that’s when we lose our self-accountability, discipline and when chaos occurs,” Nocera said. “We don’t seem to hold anyone accountable anymore and because of that lack of accountability, issues can and do occur. When numerous major league tryouts didn’t pan out and the opportunity to play in Italy stalled after he failed to obtain dual citizenship, Nocera turned to coaching. He began his coaching career at West Branch High School, later moving to Florida where he coached at St. Lucie High School and Palm Beach Community College. He enjoyed his greatest success after returning to the area where he served as head baseball coach at New Castle and then Westminster College. During his time with the Titans, his teams averaged 20.3 wins per year, made 11 playoff appearances, won two Presidents’ Athletic Conference championships and was named PAC coach of the year twice. An associate scout for the Kansas City Royals and later the Florida Marlins, he helped Eastern Gateway Community College in the fall as they prepared for their first varsity season this spring.